This week, writer and mom Ruth Manuel-Logan shares her tricks for travel with children on the spectrum. But traveling with kids who have autism is possible and doesn’t have to be difficult. Here are tips that can make your trip a pleasurable one for your child and a positive experience for the family. Vacations mean transition, which children with autism may find difficult. You have to know your child and have a thorough understanding of his needs first. Children with autism tend not to be socially intuitive, and new experiences can result in meltdowns, so planning what can be executed and enjoyed by your child is imperative. “Children with autism are stress detectors. They sense others’ stress and react in ways that are considered an interruption to the planned agenda for the day. 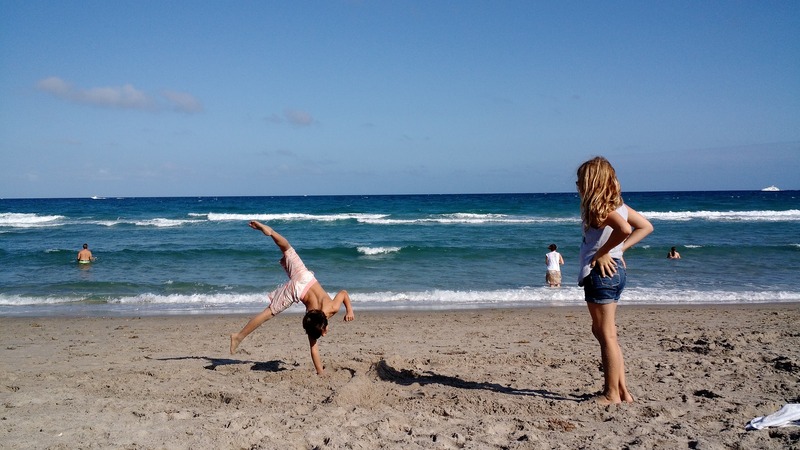 For this reason, vacations at the beach or in the mountains, where schedules are often flexible and unhurried, can be ideal for a child with autism,” says Rebecca Landa, Ph.D., Director of the Center for Autism and Related Disorders at the Kennedy Krieger Institute in Baltimore, Maryland. Does your child like amusement parks? Is hiking in your child’s comfort zone? Do you find that his sensory issues fade when he’s basking in the sun on the beach? No matter where you travel, you should always remember the activities that your child will enjoy. Try not to overload him by bombarding him with too many things to do, as this will cause stress for everyone involved. Include your children as active partners in the planning. Adapt it to your child’s interests, information-processing abilities, and attention span, and relate it to the upcoming trip. Researching the destination and how you’re getting there, and talking about accommodations and the kinds of activities that are well suited to your child are all part of planning process. Kim Stagliano, mom of three girls ages 11, 15, and 17 (all whom have autism) and author of All I Can Handle: A Life Raising Three Daughters with Autism, is a firm believer in planning ahead before she and her husband take their trio anywhere. “If we fly, I use the pre-boarding opportunity to tell the airline staff that the girls have autism, so that they can understand if we have a situation and offer us extra assistance if we need it. Theme parks across the country are also finding ways to accommodate children with autism. “We usually go to the guest relations office that can be found in most theme parks and request special passes so that we don’t have to wait on long lines,” says Amy Dingwall, of Trumbull, Connecticut, whose 17-year-old son, Ryan, has autism. Getting your child a medical bracelet or necklace with contact information is essential, particularly when traveling. If your child has sensory issues that would prevent him from wearing the jewelry, you can order ID tags that can be attached to shoelaces or even zipper pulls (like the ones from Zoobearsmedicalid.com). If your child is nonverbal, you might want to make an ID card to put in his pocket with a current photo, contact information, and a list of allergies. Be sure to also indicate that your child is nonverbal. “No matter where you go, remember to think ahead about safety for your child,” Dr. Landa advises. Put together a checklist to ensure that you leave nothing behind that your child will require. Children on the autism spectrum often need reinforcements, many of them tangible, so don’t forget to bring these along on your trip to reward his good behavior. All children are attached to their loveys, but children with autism can’t leave them behind because they see the loveys as extensions of themselves; forgetting them can end up putting the brakes on a much-anticipated getaway. Dingwall finds that preparing Ryan just a few days before a trip works best for him. If she reveals details about a vacation too far ahead in advance, Ryan will lose sleep because of his anxiety and will also perseverate, a common trait among children with autism, whereby they repeat a certain phrase or action. “We are always prepared with two types of picture schedules — one on Ryan’s iPod Touch, using his picture-based prompting app iPrompts, and the other a backup with pictures and Velcro backings that can easily be switched as needed,” Dingwall says. Vacations do not fall into usual routines, so children with autism may feel lost and unanchored, and that can lead to breakdowns. Know your child’s trigger points and plan accordingly. “We don’t feel as if we have to spend all day at a theme park. Just a few hours that my daughters can handle and then a swim is much easier than eight long hours in a park followed by meltdowns. We also make sure to stick close to our bedtime routine even though we’re on vacation. Getting a good night’s sleep often helps prevent [unruly] behaviors,” Stagliano says. Does your child tend to tire at around the same time each day? Does too much visual or physical stimuli kick start bouts of anxiety? Did you overschedule your child? “As you assemble the trip agenda, it’s essential to plan for breaks and downtime so that it is not an afterthought,” Dr. Landa cautions. As the parent, you have to know when to throw in the towel by anticipating needs and taking a break by bringing your child to a quiet spot, a relaxation space, or back to the hotel room to wind down. Ruth Manuel-Logan is the proud mom of a 12-year-old child with autism whom she loves to Reese’s Pieces. Ruth is hopeful that she’ll be able to flip on the auto pilot switch and allow her son to make his own independent mark in the world one day. Written by: Different Roads to Learning on April 6, 2017. Last revised by: April 5, 2017. This entry was posted in ABA, Applied Behavior Analysis, autism, Autism Awareness, autistic spectrum disorder, Behavior, From the Experts, Guest Blog Post and tagged autism, autism spectrum, autism spectrum disorder, Travel, traveling with a child with autism by Different Roads to Learning. Bookmark the permalink.